Charlotte has currently two particular areas of interest. The first is concerned with non-visual interaction design and how use of other senses than the visual can be used in applications and services. The second is design and design methodology for persons with and without disabilities. Charlotte is also an experienced programmer, with particular experience from interactive multimodal applications. 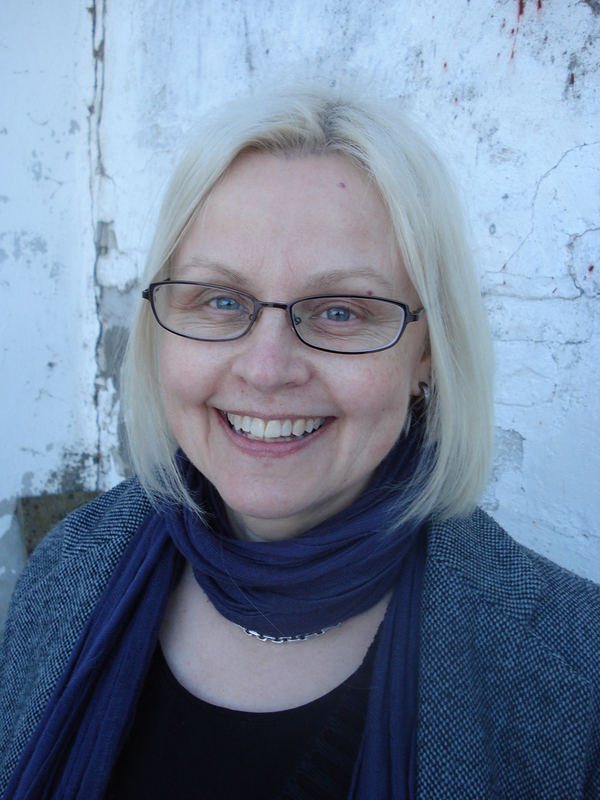 When Charlotte started working at Certec in 1993 her work was centered around the needs of people with cognitive impairments and the possibilities offered by artificial intelligence (AI) and other advanced computer technologies in this context – and how knowledge based systems/expert systems may be used and developed in areas where the knowledge is mostly so-called soft or tacit knowledge. Since 2001 her area of interest has shifted more towards HMI (human – machine interaction) and in particular towards non-visual interaction design and tangible interaction. Charlotte has been a member of eleven PhD examination boards – six in Sweden (two at Lund University, one at Chalmers, one at Uppsala and two at KTH), one in Italy (Verona University), one in Belgium (Hasselt University), one in Oldenburg, Germany and two at Aalborg University, Copenhagen. She was the opponent at the dissertation of Yingying Huang at KTH, Sweden (2010) and Daniel Innala Ahlmark (2016). Charlotte also acts as a reviewer for several journals and conferences within the haptics/HCI field. Charlotte was the project manager for the Svarne Project from 1993 until its completion in 1997. In 2001, she was responsible for Certec’s participation in ENORASI, a European Union project. She has also been responsible for a number of small to medium sized projects, such as the Social Simulator project or the “Projekt haptik och trafik”. Recently she has been responsible for the Department of Design Sciences’ participation in the European Network of Excellence ENACTIVE, in the integrated project ENABLED and the STREP MICOLE. She was project leader for the national projects NIVINAVI and UUT. She was the coordinator of the integrated project HaptiMap (EU). In addition to this she participated in the national project HIPP. She was responsible for the department participation in the EU project ABBI and the AAL (ambient assistive daily living) project NavMem. Charlotte coordinated the NordForsk project ActivABLES and is currently responsible for the department participation in the EU project STARR. In addition Charlotte is a member of the Swedish Braille authority, and ISO/TC 159/SC 4/WG 9 (Tactile Haptic Interaction). Charlotte Magnusson, Kirsten Rassmus-Gröhn, Bitte Rydeman & Caltenco, H., 2018 Sep 3, MobileHCI '18 Proceedings of the 20th International Conference on Human-Computer Interaction with Mobile Devices and Services Adjunct. ACM, p. 237 244 p.
Caltenco, H., Charlotte Magnusson, Bitte Rydeman, Finocchietti, S., Cappagli, G., Cocchi, E., Porquis, L. B., Baud-Bovy, G. & Gori, M., 2018 Apr 6, Wearable Technologies: Concepts, Methodologies, Tools, and Applications. IGI Global, p. 314-332 19 p.
Kytö, M., McGookin, D., Bock, W., Caltenco, H. A. & Charlotte Magnusson, 2018 Mar 18, TEI 2018 - Proceedings of the 12th International Conference on Tangible, Embedded, and Embodied Interaction. Association for Computing Machinery, Inc, Vol. 2018-January. p. 245-252 8 p.